I was born in Brandon Manitoba, but consider Yellowknife, Northwest Territories, to be my home. Outside of school, I work as a Residential Support Worker, and work with clients with intellectual disabilities. On my free-time I enjoy running, drawing and spending time with my friends and family. Deciding to stay in town and take the nursing program will never be a regret of mine. I’ve found a new passion of northern healthcare while simultaneously learning more about the community I live in. I’ve also had many opportunities staying in the north as a student, like working as a research assistant and going on an international exchange to Norway. All of these opportunities have facilitated a lot of personal and professional growth. In my future career, I see myself working towards bringing climate change adaptation and mitigation into healthcare, as our own health is dependent on the earth we live on. 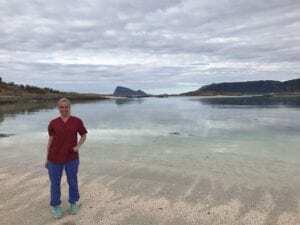 Through my international exchange to Norway I also have been able to combine two of my passions of nursing and travel, which ultimately sparked my interest of global health and nursing as a global workforce.